We’ve caught Wahoo in excess of 80 lbs. while going less than 10 minutes from shore. The best time to catch Wahoo is between November and March but they have been found throughout the year. 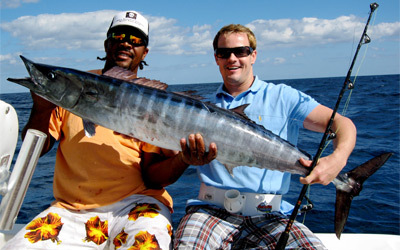 They're exciting to catch so you can come for the Wahoo challenge and leave with your prized fish like a champion!